Extremely complex structural measures for the expansion of an existing pharmacy passing onto new owners. The project involves the addition of a new 50 sq. m. area and an existing basement. The mixed structure of the walls (load-bearing / reinforced concrete) required an in-depth analysis in order to use as much space as possible for the store. 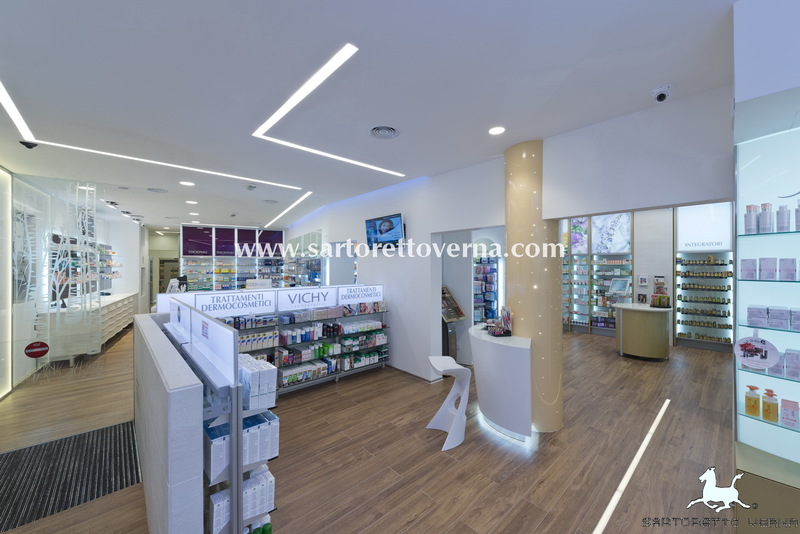 The pharmacy’s renovation design paid careful attention to its location in the elegant Parioli district of Rome, surrounded by embassies, diplomatic residences and theaters, in the immediate vicinity of a well-known clinic. The target is composed of select customers from the area, as well as passerby’s. 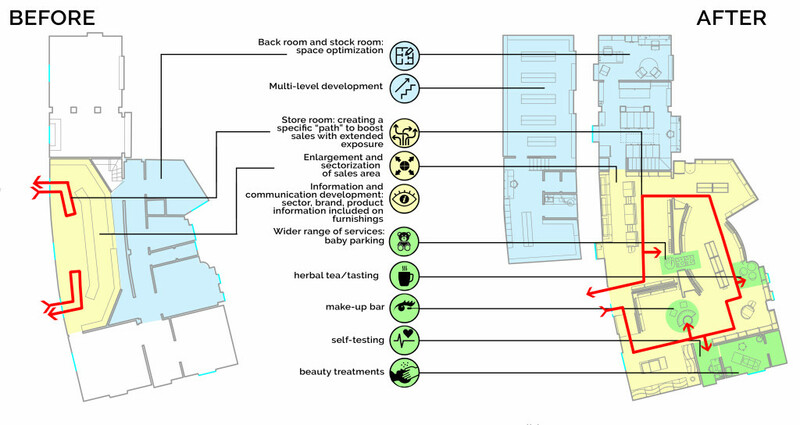 The project includes a make-up area, a self-testing room and a body treatment room. 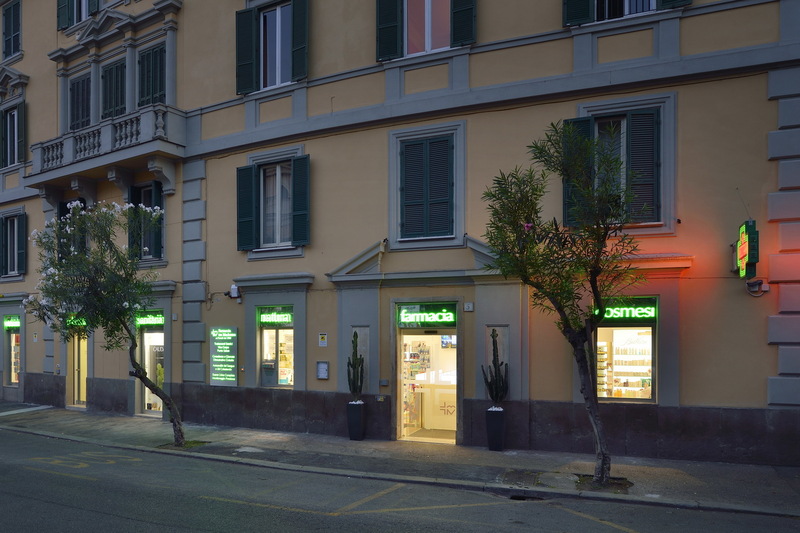 Tre Madonne is one of the most popular pharmacies in the area, but customers tended to complain about its old décor and how difficult it was to find products, leading to a completely new and strong image, which is immediately visible from the outside of the store on the street. 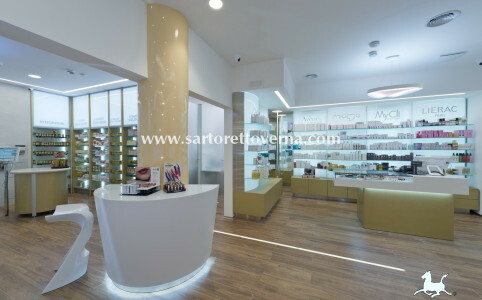 A large shop window allows customers to glance inside the pharmacy, particularly at the cosmetics department. The window catches the attention of even the most hurried passerby, who will be instantly amazed by the contrast between the pharmacy’s ultra-modern design and the minimalist building dating to the 1930’s. 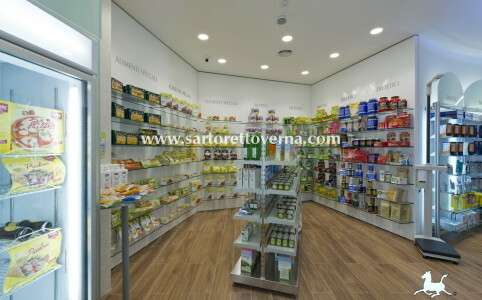 The sales path has been carefully planned in order to maximize and optimize the display area in such a way that is conducive to impulse buying. Customers step into the store through the cosmetics department and exit from the same door, after passing by the prescriptions counter and having walked through the entire pharmacy. 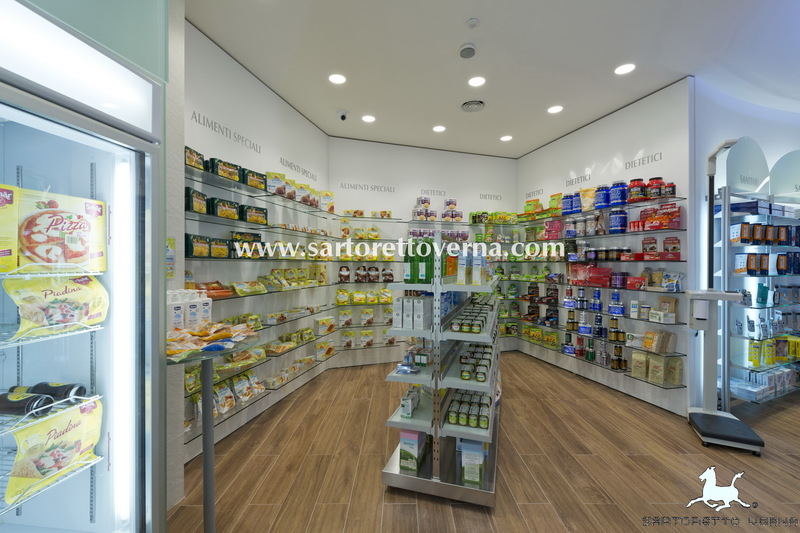 Customers are directed around the store according to a specific path that is pleasant and features clearly defined departments, each promoting the brand’s message in a clear and legible manner. 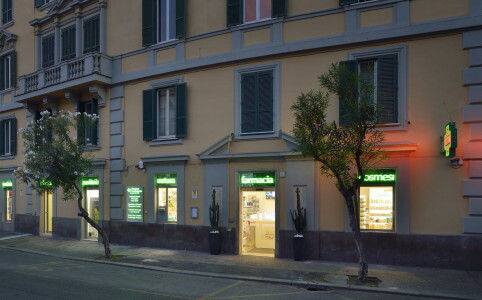 Particular attention was paid to the cosmetics department, which significantly contributes to revenue in a pharmacy like Tre Madonne. The department is located immediately after the entrance, in a separate environment. Customers searching for cosmetics like to feel free to glance at the products. Those who need advice and would like some privacy can ask for suggestions and information at the cosmetics desk. 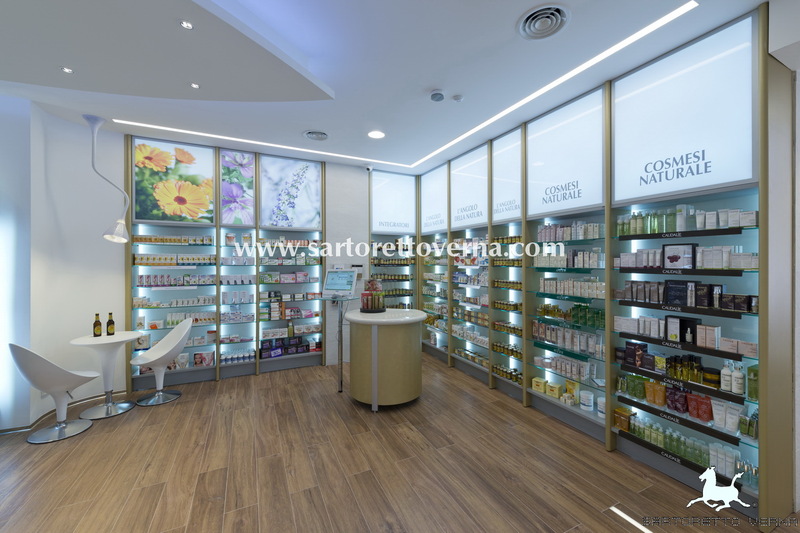 The products are clearly defined and labeled, thanks to bright visuals on shelves and gondola display units with the names of the cosmetic brands or other descriptive indications regarding the products. The department also features a seated make-up area. The selected colors are designed to give a clean and fresh, yet welcoming feeling. An intense white light is accompanied by a warm wooden floor. 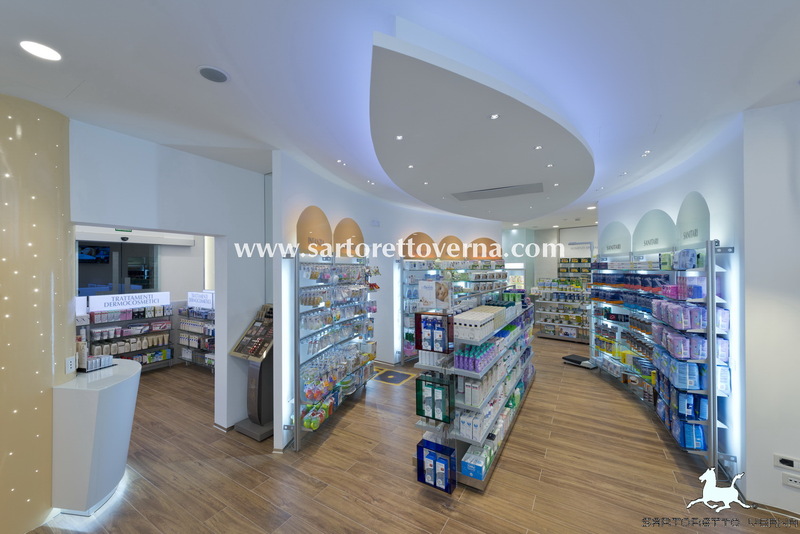 The pharmacy’s design was a turnkey project: each stage, from design to testing, construction and completion, including the expedition of paperwork. 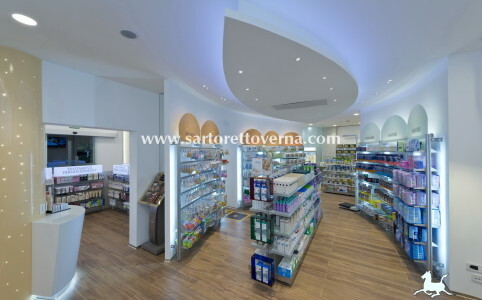 The project gave life to a new Tre Madonne pharmacy, one that is more competitive and ready to challenge its competitors. 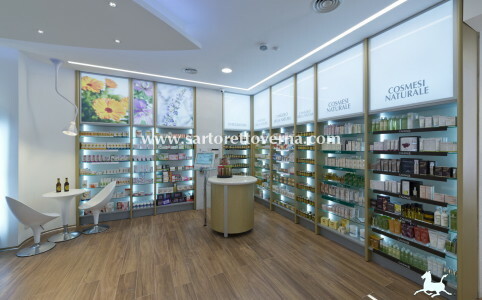 Designed to satisfy customers, in a place that focuses on health, beauty and wellbeing.